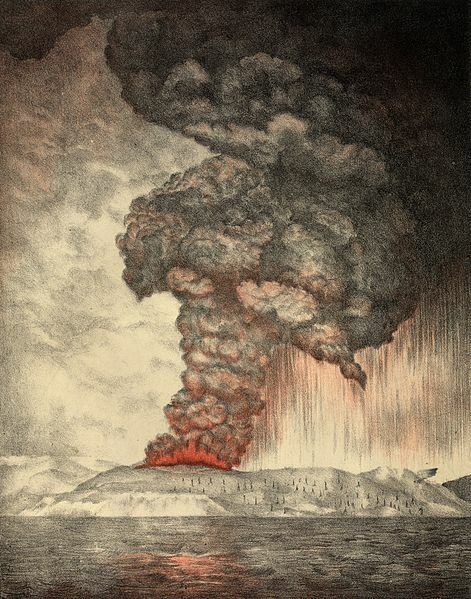 Ten years ago, I interviewed author Simon Winchester, who had just published his work, Krakatoa: The Day the World Exploded. I so enjoyed the jovial Englishman’s account of lava and book touring, in equal measure, and provided this review and this interview both to the Jakarta Post. This entry was posted in Asia and tagged Anak Krakatoa, Indonesia, Java, Krakatoa, Simon Winchester, Sumatra, volcano by Caroline M Cooper. Bookmark the permalink.